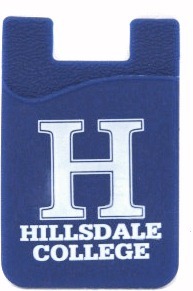 Royal blue cell phone card holder with white imprint. Sticks to the back of your cell phone to hold ID and credit cards. Fits most phones and cases.